It’s usually a goal on everyone’s list to make their home as happy and healthy as possible. But we all know at times that can be easier said than done. Honestly, it can get downright overwhelming. 1.Include Lots Of Flowers And Plants. Flowers and plants help you to bring the outdoors in, making your home look more lively and colorful. Not only that, studies show that flowers and plants make us happier almost instantly just by looking at them. When you take into account that they can actually help to purify the air too, it’s obvious that plants are a must for your home! 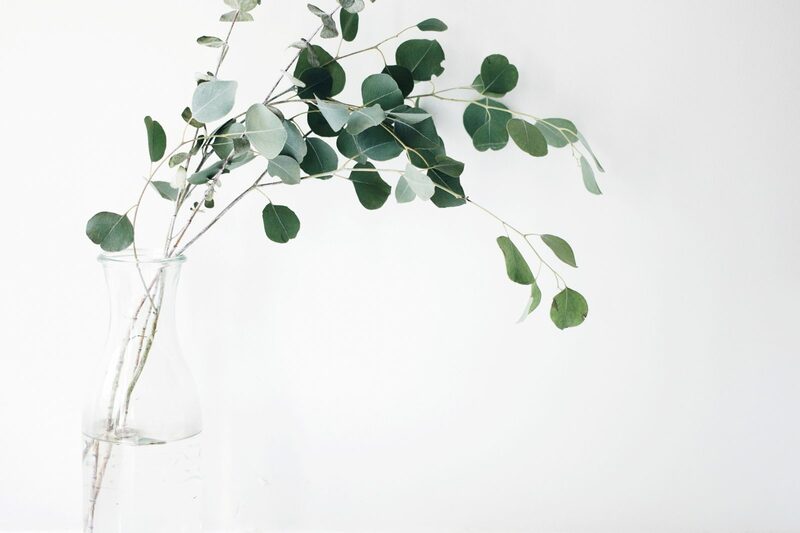 The more you add, the more leafy texture they can bring to the decor – just make sure you keep them clean and that they aren’t going to set anybody off who suffers from allergies. Fake plants can look convincing, but they just don’t have the same health benefits. 2. Add A Himalayan Salt Lamp. Himalayan salt lamps are a brilliant addition to any home – some people even go as far as having one in every room. They look great, and they have a range of health benefits, too. They help to create a more positive atmosphere in the room, and can even promote less stress and better sleep. Try one, and even if you don’t notice vast health benefits, you’ll have a pretty accessory that helps to set a relaxing tone. 3. Keep Up With Regular Maintenance Appointments. Make sure you make a note of regular maintenance appointments and keep up with them as well as you possibly can. Have a phone book with your maintenance numbers all stored and ready to go in case you experience an emergency, like ABC Home & Commercial pest control for pest related emergencies. Make sure you do your research before calling anybody to do work on your home, or you could end up with even more issues and having to pay out twice. Taking the time to research at the start will save you from needing to sort out more problems later on down the line. 4. Create A Cleaning Routine And Stick To It. Keeping up with a regular cleaning routine ensures that your home is healthy, and that you don’t end up having to do a huge spring clean because you left everything for too long in the first place. It’ll seem much more manageable and maybe even therapeutic when you stick to your rota as best you can. 5. Delegate Tasks To Your Partner. Don’t hesitate to put your boo to work! Making sure your home is a happy home is all about teamwork. 6. Make It Smell Amazing The Healthy Way. What do you think the best way to make your home smell amazing is? Many people think that it’s candles, but candles can actually be toxic and make the home an unhealthy place to live. The best way to make your home smell amazing is natural; incense and aromatherapy are great, plus, they have health benefits. 7. Choose The Right Colors To Set The Tone. The colors you choose to have in your home can seriously help to change the mood. Red, for example, can make people feel more stressed out, whereas blue can be a calming, tranquil color. Make sure you choose the right colors depending on how you want to feel; more stimulating colors for the living areas, and relaxing colors for the bedrooms. If you’re unsure, do some research on various colors and what their moods are before choosing them. 8. Get Rid Of Your Clutter. I CANNOT STAND CLUTTER! It gives me so much anxiety! Clutter can weigh heavy on the mind, especially mindless clutter that appears to have just accumulated. Clutter that actually means something, such as souvenirs from a great trip or things your kids have made you can actually have a positive effect on the mind. If you’re going to have a clear out, make sure you get rid of things that don’t mean anything, and don’t worry about a bit of clutter that does mean something. 9. Let Natural Light In. Open up those blinds or curtains and let that natural light in. Natural light is essential for health, and promotes productivity and happiness. Artificial light can have a negative effect on our mood and mindset, yet many people bask in it all day long. Do your best to let the natural light shine into your home and you’ll be on your way to making it far healthier. Toxic materials, like carpet, can hold on to dust and dirt and make allergies worse. They can make a home almost impossible to clean, too. Making your bed every day not only gets everybody into good habits; it means you’re 19% more likely to get a better night’s sleep, too! Make sure your whole family knows the importance of making their beds. I can’t even begin to tell you how getting a dog has changed my life for the better. Getting a pet may not be an option for some, but there are many benefits for those who have the room, the time, and the budget. A dog, cat, or even a fish can help to lower stress levels in both adults and children. Aquariums not only lower blood pressure and heart rates, but increase the feeling of happiness after having watched fish swim in an aquarium. Petting a dog can make you feel at ease in a moment. Assess your lifestyle, your budget, time, and the level of responsibility your kids are ready for and then select your pet from there! If you do decide to go for a dog or a cat, do a lot of research first to ensure the breed is suitable. Never just go for one because it’s cute or small! 13. Create A Special Positive Space. Have a special positive space in your home where you can go to relax after a stressful day. This could be a reading nook, or even an altar with positive images and phrases. This could be a private space that only you use, or a space you allow the whole family to use. Just make it as positive as possible – and avoid having technology in there at all! 14. Express Yourself And Your Personality. Make sure you use your home to express yourself and the personality of your family – don’t just go for neutral colors because that’s what appears to be ‘in’ right now. Neutral colors can be great if you want to sell your home, but don’t be afraid to express a little creative freedom with it in the meantime! Use these ideas to make your home as happy and healthy as possible and you’ll love where you live!